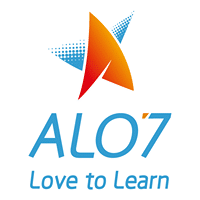 We find the most appropriate solution to the needs of the student and their learning style. Our individual or group language courses are designed to adapt to the requirements of our clients and can be started at any time. Whether you are interested in a group training or if you want to do individual classes or a course adapted to people who have little time, inlingua has a course for every need. Courses can be flexible, both in duration and in programming, and can be general or specific. The inlingua method emphasizes the oral part of the language, but takes into account all linguistic skills: reading, writing, listening and speaking. For those people who have specific language needs and also for those who have few hours to study languages ​​or have a difficult work schedule to combine with studies, inlingua offers private language classes, which can be adapted to the hourly availability of the student. With this type of course, the student can choose the number of sessions, adapting them to their available time. The student marks the objective. The course is designed according to the specific needs of the student (to acquire basic skills, to reactivate their passive language, to prepare for specific situations such as meetings, negotiations and presentations, etc.). The course moves at the pace that marks the student and the teachers are completely focused on their specific needs. The student establishes the calendar based on its availability. The student decides where the classes take place (in his office, at home or in one of our centers). Prices depend on the number of hours contracted. Classes outside the inlingua centers may be subject to a surcharge for travel expenses. Both for beginners and advanced students, the group courses offer an active, varied and entertaining learning environment. These courses are held once or twice a week, which is compatible with tight work schedules. The oral and written comprehension, the conversation -interpretation and oral expression- and the writing are worked to the maximum. They are taught once or twice a week, with a total duration of two teaching hours. There is a limited number of students per class. Groups usually have four to eight students. If the student has previously studied the language, it can be incorporated into a course at their level at any time. You will not have to wait for a new course to start. 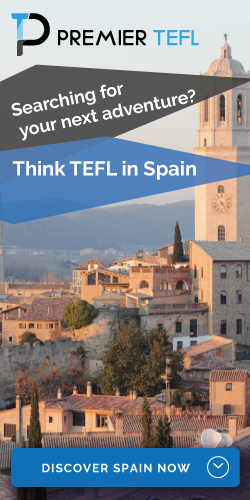 If you already have some knowledge of the language you want to learn, but are undecided about the course that best suits you, you can take a free level test with one of the inlingua teachers. inlingua offers its services to a large number of large companies and institutions in the country. All have trusted us and entrust us with the linguistic training of their human teams. After analyzing the particular requirements, we developed a course specifically adapted to the company’s objectives. To create an optimized course, special attention is paid to the corporate culture, the objective of the workers and the specific internal requirements. Also the structure and schedule of the course are adjusted to the demands of the company. The development of the course is controlled and compared with the original objectives continuously. The contact person in inlingua keeps the human resources departments regularly informed. For companies, inlingua has the line of materials APP ( Accelerated Professional Program ), which follows a structure similar to the GPP ( General Purpose Program ) materials, but based on professional situations and in the business world. Following the levels established by the Common European Framework of Reference for Languages ​​(MECR), the APP line also has different materials for students, resources for teachers and complementary tools. Companies that operate nationally or internationally benefit greatly from the extensive network of inlingua centers. A contract with inlingua will allow them to establish a homogeneous structure in terms of reports, evaluations and other aspects of the courses.